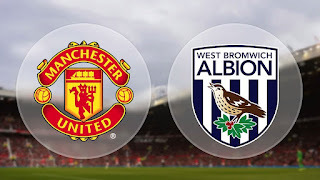 Let’s take a look at our opposition today for our 12th league game of the season: West Brom. They are currently 12th with 14 points, in a stable position in the early part of the season. In their last league match they lost 3-2 at home to Leicester City. Their defence seemed unable to cope with the attacking threat of Leicester. If we want to win today then we certainly need to exploit their defence. Tony Pulis, their manager, is a highly experienced top flight manager who certainly knows how to get results. Solomon Rondon and Ricky Lambert were their goal scorers in their last game. I expect Rondon and Berahino to continue their strike partnership with Lambert coming on in the latter stages of the game as an impact player. The pace of Berahino could certainly trouble our defence so we need to be sharp and focused. Ideally, I would like to see us keep a clean sheet as a sign that our defence are fully focused in a game where we are ‘expected to win’. These games against lower quality sides are vital because as you all know it is these games which regularly cause upsets. It will also be a nice return for ex- united player Darren Fletcher, who played 342 games for us scoring 24 goals. 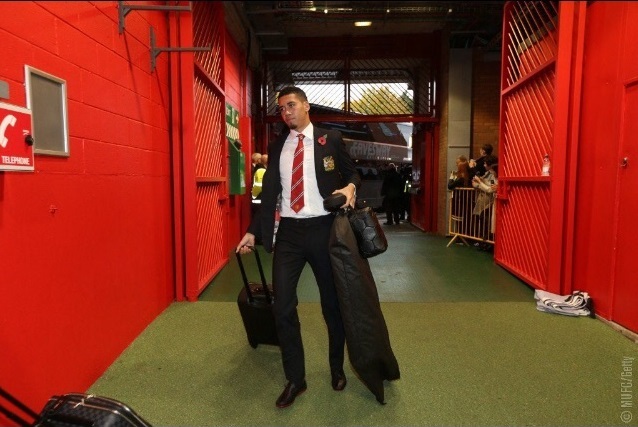 Pulis is likely to keep in him the side for today’s match. Chris Brunt and Sessegnon started in the heart of West Brom’s midfield last time and they can be dangerous when they are both playing at the top of their form. 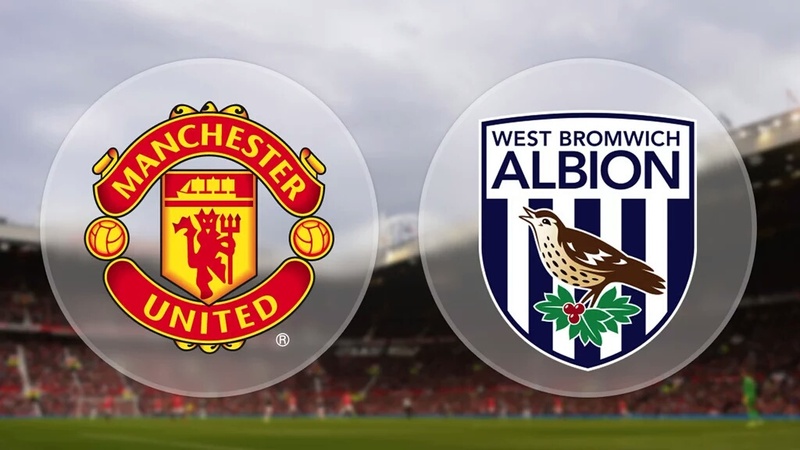 Another ex- united player, Jonny Evans, will be making a return to Old Trafford today in the West Brom defence. He made 131 appearances for us scoring 4 goals in his 9 years at the club. West Brom does have a shaky defence even though their goalkeeper Myhill can pull off some excellent saves. Now it’s time to analyse United. After victory against CSKA Moscow in the Champions League, thanks to the header from our captain Wayne Rooney, United will be looking to continue their winning form. This performance is crucial as there has been some attention drawn to the fact that United fans were booing during the midweek game. Whether you like LVG’s tactics or not, he has the authority to select the team that he feels will get him the result that he wants so we should accept that and support him. There is no denying that we need to produce an excellent performance today. We are currently fourth in the table with 21 points after drawing to Crystal Palace. The game highlighted our weakness in terms of producing exciting football. 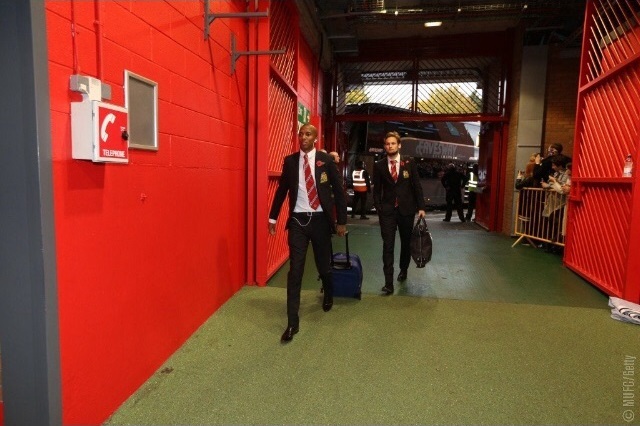 In terms of team selection, De Gea starting is a certainty. Let’s hope that he can get a clean sheet on his birthday. Happy Birthday De Gea! 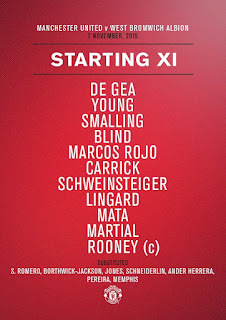 Against Palace, Darmian, Smalling, Blind and Rojo started in our defence. I would keep our defence the same since we did get a clean sheet. 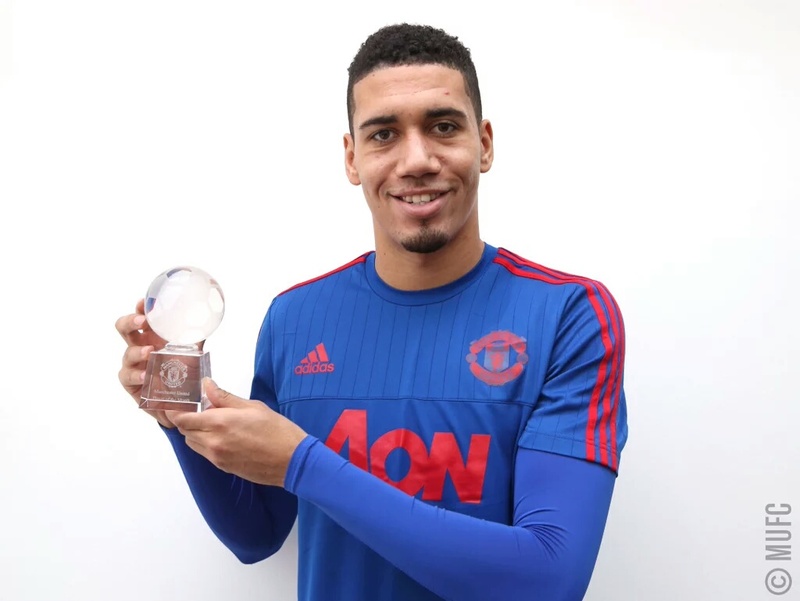 Also, we at The United Devils would like to congratulate Chris Smalling for winning Manchester United's player of the month award for October. For our midfield, I would like to see Carrick and Schweinsteiger play together as CDM’s as their experience is key for us. Mata and Herrera should continue to play in more advanced roles. Rooney and Martial should also continue to play upfront although I would really like to see Jesse Lingard start today as I thought he was excellent against CSKA Moscow in the second half. I am hoping for 3 points and nothing less to really strengthen our chances of at least a top 4 finish and a possible push for the title. However we have scored a total of 15 goals in the league this season, the lowest of the top 7 teams. We do need to play more attacking but I would rather have a more solid midfield that provides us with stability. 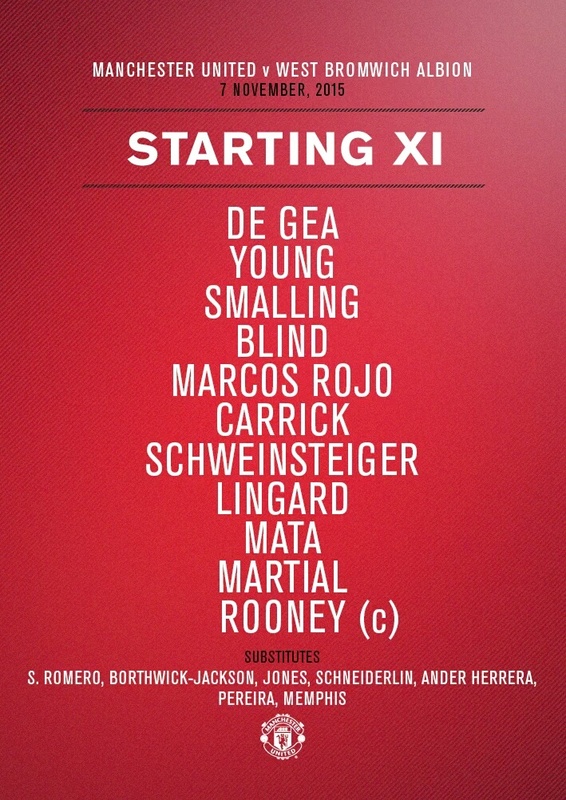 The line up is the same one that we started against CSKA Moscow which is good because it means that LVG liked the way we played more direct and hopefully wants us to do the same today. 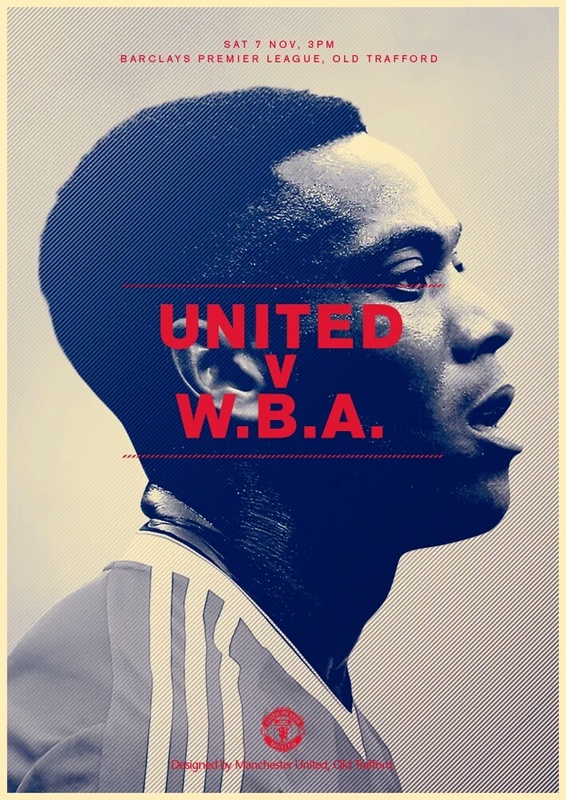 I would have thought to start Herrera instead of Schwiensteiger as West Brom are a more defensive side and he gives us the extra vision that we might need today. We would also like to see Memphis come on at some point in the game because we haven't seen the best of him yet. This would also be good psychologically for him as it would show that the manager still has some faith in him. Another talking point is that Borthwick-Jackson starts on the bench today. It's great to see some very young names on every team-sheet. The first half went exactly as everyone expected. 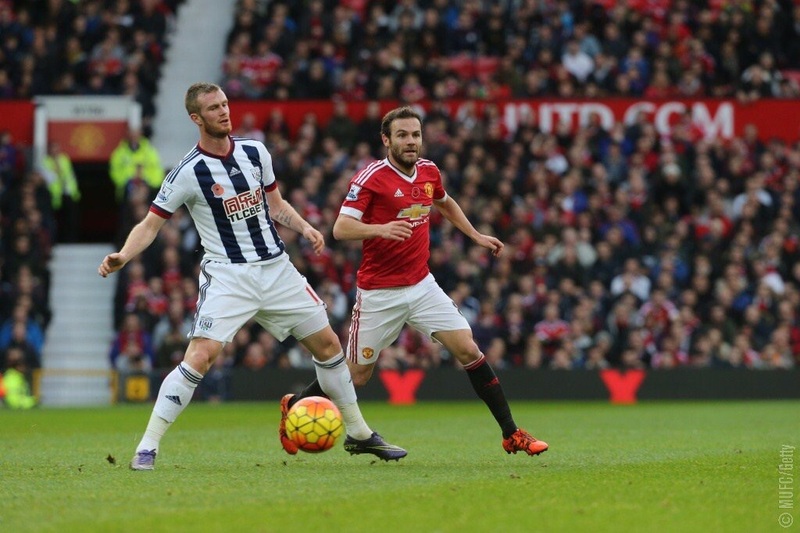 United had the ball and West Brom had 10 men behind it. I think that there were definitely some chances where we could have scored, but the main thing is that we're making chances even in tough conditions like this. I feel that we've tried to come out and play direct and effective football, but it's just not apparent due to the Baggies parking the bus. As for individual performances, Smalling's been excellent dealing with Rondon the few times the ball came into our half- but he's been doing that all season. He must be one of the best centre backs in the world right now, in fact I don't remember him putting a foot wrong this season. Mata's been our main creative spark this half creating problems left right and centre. Rooney seems to be back to his old self following the goal midweek and has been great in hold up play and creating chances for others. Martial has used his strength well and seems to be a big threat in and around the box so we need him there getting service from our midfielders. Other than that, everyone has had a decent game so far, but we need something special to break down the wall. I think that Herrera should come on for Schwiensteiger since we don't really have that much defensive work to do and we need more creativity on the ball. Other options could be Pereira and Memphis since they seem to be struggling against the pace we have. At last! We managed to score a goal in the Premier League! We were all demanding for a better attacking second half, and that's what we got. 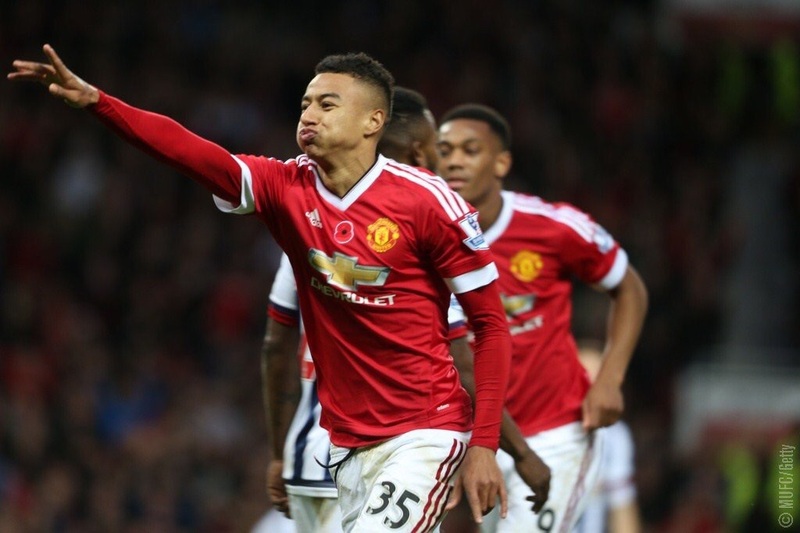 Jesse Lingard, what is there not to talk about. Van Gaal has shown everyone that he has faith in this young lad, and thank God he did! He scored an absolute screamer! It was an inch perfect curling effort into the bottom right hand corner of the goal. We can't say it hasn't been coming for this lad, he was amazing in the second half against CSKA Moscow and even manage to get an assist. We had one moment where our hearts were in our mouth. Berahino managed to miss a sitter from 4 yards of the goal. This gave us the wake up call we needed. What a moment for the young defender Borthwick-Jackson, who made his Manchester United debut after coming on for Marcos Rojo. This is one thing that I really like about Van Gaal. I may not like his philosophy much, but the way he gives young players a chance is admirable. One thing that shocked everyone was Wayne Rooney being subbed off by Louis Van Gaal for Ander Herrera. I couldn't belive it! To make this day even better, we scored a second goal. 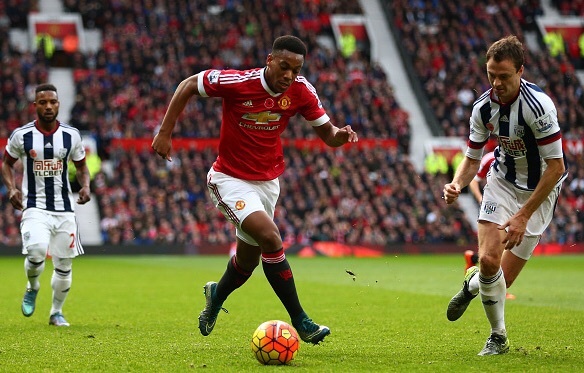 Anthony Martial was through on goal when he got tripped up by McAuley, who received a straight red card. This was Mata's opportunity to score and hopefully regain his scoring form. He placed it straight down the middle whilst the keeper was diving to his right hand side. Finally a win in the Premier League! 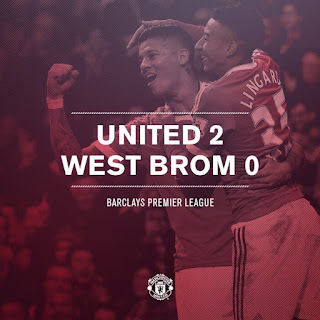 It wasn't an amazing performance by Manchester United, but it was good enough to seal three points. 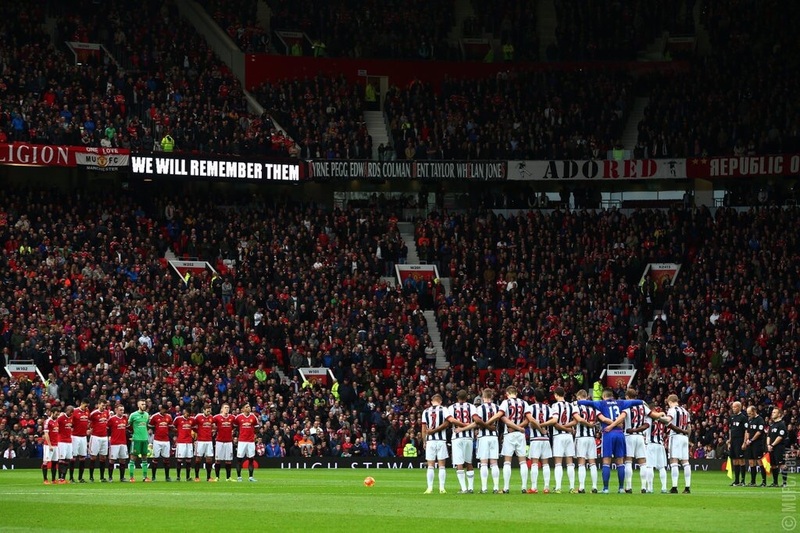 West Brom weren't at their best, but nor were United. For the first time since the 3-0 win over Everton, we managed to score more than one goal. Maybe this is a step in the right direction for Manchester United. The stand out players today were Bastian Schweinsteiger and Jesse Lingard. Lingard was very good today with lots of good touches and he wasn't afraid to take his man on. Schweinsteiger was involved in everything. However, we're all still waiting for his first Manchester United goal. 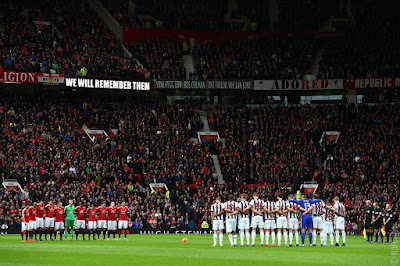 Rooney played so much better today and would've loved to take that penalty to put him ahead of Dennis Law. this is great, engaging and some great analysis, keep it up!